What happened in the base metals space this week? Here the Investing News Network looks back at the top news stories in the sector. In macro-news this week, eyes were on Washington as US President Donald Trump finally made it through the door of Congress to make his State of the Union speech, while British Prime Minister Theresa May continues to scratch at the door in Brussels seeking a Brexit deal. In South America, Venezuela has seen a steady ramp-up in rhetoric and actions between its two presidents, with alternative president Juan Guaidó now backed by 40 countries — including the US, and most of Venezuela’s South American neighbors. In Venezuela, oil is king — while in Brazil, iron mining is front and centre in the aftermath of the Córrego do Feijão tailings dam collapse last week, which so far has a death toll of 157 people — with most of the 200 still missing feared dead. Vale’s (NYSE:VALE) woes have seen the iron ore price surge as the global mining behemoth struggles with the judicial, political, social and economic fallout of the disaster. In other base metals, copper was up 2.47 percent by Thursday (February 7), keeping its head well above the US$6,000-per-tonne mark at US$6,226 a tonne. Everyone’s favorite moonlighting battery metal, nickel was also up — though by a more modest 1.34 percent to US$12,840, while zinc wiped out last week’s gains by falling to US$2,717. 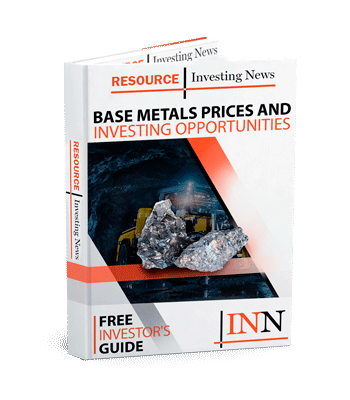 In top news this week, Ivanhoe Mines’ (TSX:IVN) co-chairman Robert Friedland outlined his vision for the company in Cape Town, Simon Moores of Benchmark Mineral Intelligence gave a dim assessment of the US in the battery-metals ‘arms race’, and Vale continues to reap the consequences of last month’s dam collapse. In announcing a prefeasibility study and preliminary economic assessment for the Kakula-Kamoa complex, co-chairman of Ivanhoe Mines Robert Friedland used some Chinese Communist Party terminology from the 1950s to describe the company as being on the verge of a “great leap forward” from a mine finder to one of the world’s top copper producers after 25 years of work in Southern Africa — thanks in no small part to the Chinese cash the company has been swimming in since mid-2018. During a presentation before the US Senate Committee of Energy and Natural Resources, Managing Director at Benchmark Mineral Intelligence Simon Moores delivered a sobering view of where the US ranks in the battery metals space — saying that the US was merely a ‘bystander’. Moores said that nickel — which is currently mostly used in the creation of stainless steel — is set to see its demand increase up to 19 times if under-construction lithium-ion production facilities come online as planned. Iron-ore mining giant Vale has a lot on its plate following the disastrous collapse of Dam 1 of the Córrego do Feijão mine near Brumadinho at the end of January, with Brazilian courts and regulatory authorities have been shuttering other similar Vale assets throughout Brazil — including the complete cessation of activities at Brucutu iron-ore mine in Minas Gerais and court orders to halt the use of tailings dams. SolGold (TSX:SOLG,LSE:SOLG) isn’t happy that Cornerstone Capital Resources (TSX:CGP) quickly rejected its offer to buy out the company in a bid to tighten its grip on the Ecuadorian Cascabel copper-gold project, but the company said it would be proceeding with its offer anyway. Staying in South America, Chile’s Codelco reported on Friday (February 8) that it was temporarily suspending operations at Chuquicamata and Ministro Hales after heavy rain in northern Chile. Codelco also reported that its copper production in 2018 was down 1.9 percent, while production from the whole of Chile was up 6 percent according to national copper commission, Cochilco. Meanwhile, Vale continues to find itself further and further up the creek as questions pile up over what it knew in the lead up to the dam collapse in Minas Gerais. In Africa, Glencore (LSE:GLEN) suspended operations at its Mopani subsidiary after three workers were killed in a fire. Mopani has a copper output of 100,000 tonnes a year. In Australia, heavy rainfall and flooding in northern Queensland has seen operators there reporting different degrees of impact: Red River Resources (ASX:RVR) reported everything was alright, while Glencore said that two of its coal mines were impacted. MMG (HKEX:1208) didn’t report any impact to its Dugald River zinc mine, but said it was donating AU$250,000 to help flood victims and its employees affected by the disaster.